I was pleasantly surprised today when Fedex delivered a small package from Instructables. 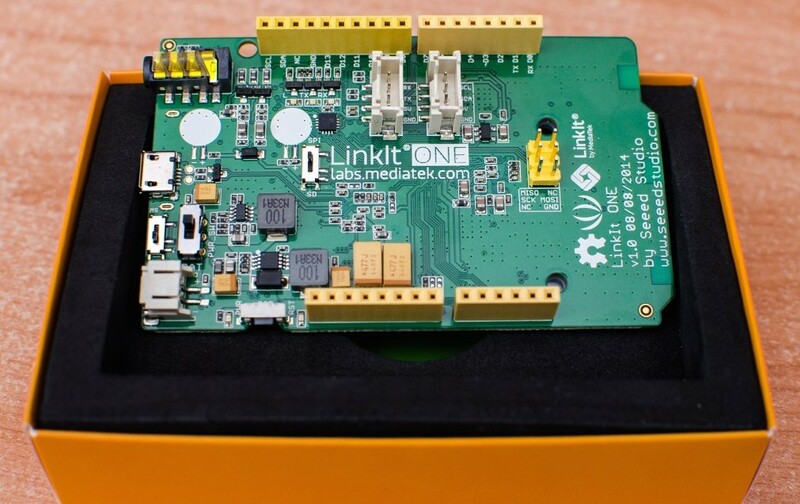 Inside was a MediaTek LinkIt ONE development board. This is an impressive board. Wifi Bluetooth, GSM, GPS, MP3 audio, internal 10Mb flash that emulates a USB disk and a set of expansion headers that accept arduino uno sized shields. It looks a bit sparse but all the goodies are hidden under an RFI shield on the bottom. It came with 3 antennas and a li-ion battery. It took a bit of work to make it play nice on a Mac. I had to upgrade my Arduino IDE first then install the IDE. The easiest way seemed to be using the board manager URL. It took a couple of tries to find the working URL. 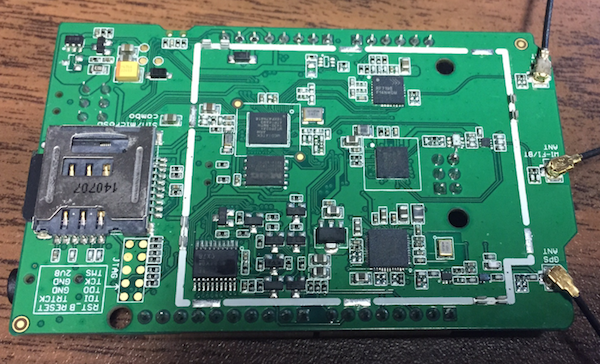 Next step was to upgrade the boards firmware. That proved to be much harder than expected. The updater required OSX 10.9. I had to duplicate the above efforts on my newer Mac…. With all of that out of the way the blink sketch was uploaded and didn’t seem to be working. The problem turned out to be the SPI/SD switch. 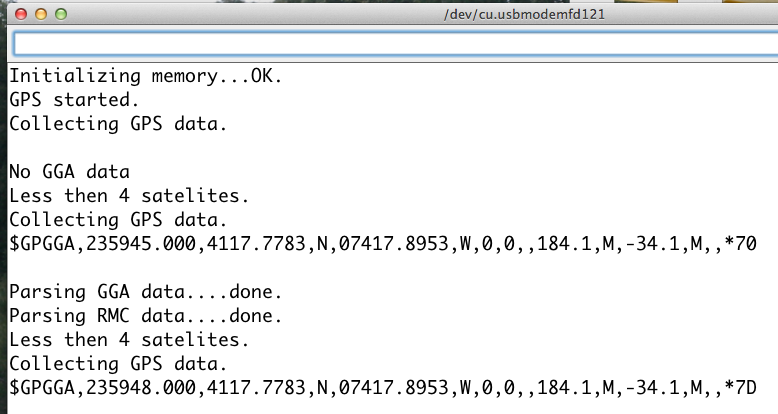 When in SD mode it disconnects the led as well as the header pins…..
Next step was to install an SD card and try a GPS logger example. That worked perfectly. Well it worked much better when I brought it upstairs. Being underground I was surprised it saw any satellites. Now looking deeper I was a little concerned that it only has 3 Analog inputs and 2 PWM outputs. That seems to rule out simple RGB control for Led’s without using a Maxim or Microchip I/O extender chip. Looks like there will be some I2C or serial expansion chips needed for my next project with this board…. The idea of being able to plug in a Sim card and to be able to send & receive SMS Texts or make calls without extra hardware is promising. I just have to see what US carriers will be compatible. 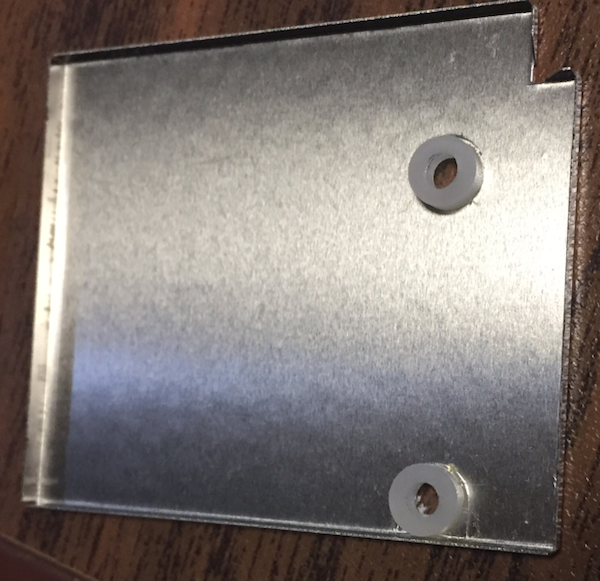 Its a little hairy dealing with those flopping antennas so I decided to mount it to a plate before something breaks…. Next is to add a Wifi and an SD upload whenever its sees my server. I still have to look into GSM sim card options….. 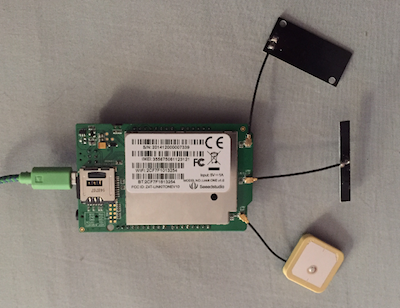 Very cool gps tracker project. Could this be sync’d to something like a google maps display? You can upload the log manually and see a map trail but if I get a compatible Sim card I can have it send out the trail in real time. I could even add SMS text msgs for excessive speed. This site makes it simple to try it yourself….